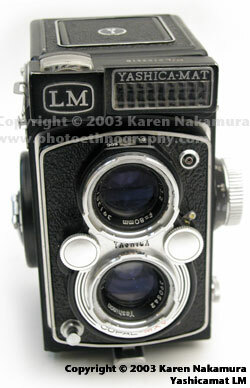 The Yashicamat LM is a twin-lens reflex (TLR) camera that is basically a copy of the Rolleiflex. 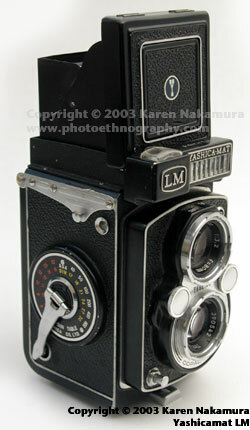 The LM added a "Light Meter" to the Yashicamat. For the era, that was very sophisticated. Using the text or images on this website without permission on an ebay auction or any other site is a violation of federal law. The light meter reads in a light value scale from 0-10. 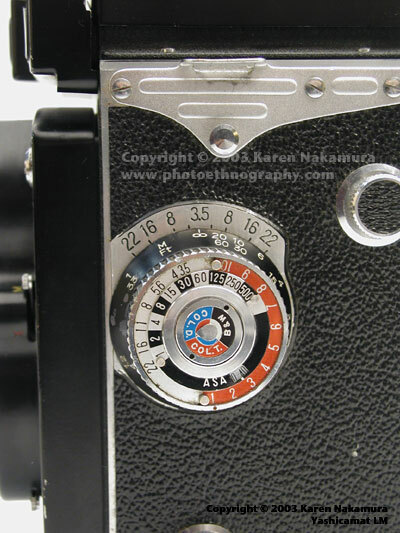 You read off the number and then use the dial attached to the focusing know to convert to a shutter-speed and aperture combination. It's a bit clumsy but works. 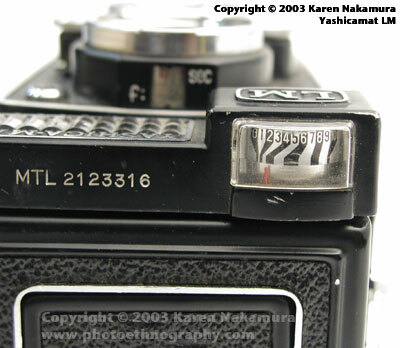 The coupled meters such as in the Yashica 44 LM was better. 1 sec - 1/300 sec. Last modified: Saturday, 06-Nov-2010 18:23:30 EDT , [an error occurred while processing this directive] .